JNN 30 Mar 2015 Berlin : The first fully operational Islamic bank is set to open in Germany this summer, German media reports. 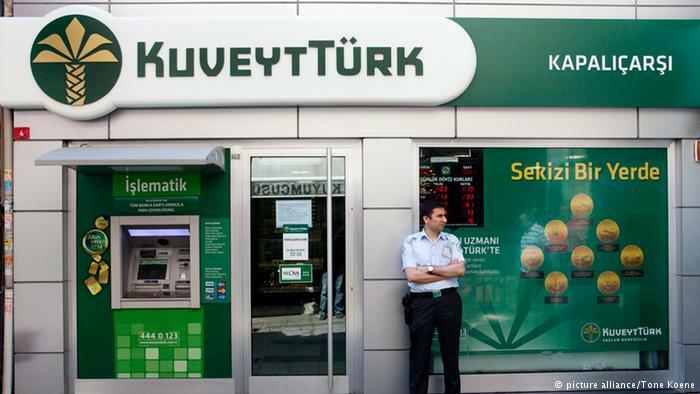 According to Kemal Ozan, the managing director of Kuveyt Turk, the banks hopes to be popular with Germany’s four million Muslims – the largest Muslim community in Europe. “Our market research has shown, that 21% of Muslims in this country would see an Islamic bank as their natural household bank,” Ozan said. Britain remains Europe’s main Islamic finance hub, with five fully-fledged Islamic banks, and 20 banks that offers Islamic banking services. The number of asylum seekers arriving in Germany, many from the Middle East, jumped to around 200,000 last year – four times as many as in 2012. Last week, German government statistics revealed that the proportion of the population without German citizenship is approaching 8.2 million – nearly 10% of the overall population. The number of foreign nationals living in Germany rose by more than half a million in 2014, the most in a single year since 1991 and 1992. This entry was posted in Europe and tagged European Union, Germany, Islamic bank, islamic banking, Islamic banks, Islamic finance, Kuveut Turk Bank. Bookmark the permalink.